Light yaki is steam processed to mimic natural Black hair that has been relaxed straight. We provide superior quality 100% natural light yaki hair extensions. Anupam Hair Exports Pvt Ltd.
We are suppliers of all kinds of wigs and also provides hair bonding services. We are suppliers of all kinds of Yaki Hair wigs and also provides hair bonding services. Very refreshing for its light weight, luxuriousness and solidness, this wig gives exquisite look to the wearer. 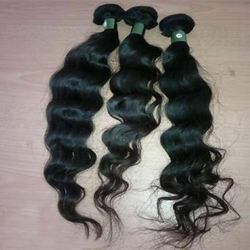 Clients can avail a wide assortment of Yaki Bulk, which is available in curly as well as straight forms. 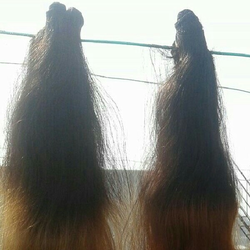 These yaki bulk can also be customized as per the needs and specifications of the clients for complete customer satisfaction. Moreover, our quality controllers ensure that the entire range procured is at par with the industry norms and guidelines. We are manufacturing 100% Human Hair.